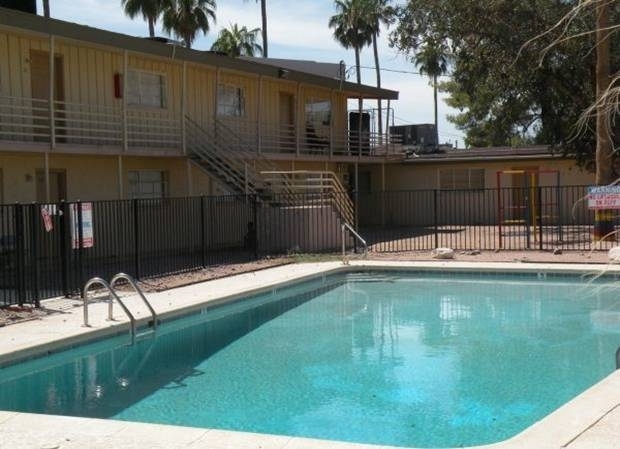 (Phoenix – March 6, 2012) – Vestis Group is pleased to announce that Principals Natan Jacobs and Les Litiwn have completed the sale of 8-units (bulk condos) of Christown Villas Condominium, located at 2150 W. Missouri Avenue in Phoenix, Arizona, for $108,500 / $13,563 per unit. The buyer, E Investment Properties, Inc., purchased 8 of 28 units within the community. The seller consisted of 3 separate REO lender-owners who had previously taken title through foreclosure. Natan Jacobs and Les Litwin with Vestis Group represented the seller in the sale. Christown Villas houses 28 units on approximately 2.1 acres. It is comprised of 5 one bedroom / one bath; 20 two bedroom / two bath; and 3 three bedroom / two bath units. The average unit size is 1,177 sq. ft. The buildings are constructed of block, with built-up roofs were new in 2011. Built in 1960, the property was renovated in 2001. Christown Villas is located in a great neighborhood surrounded by single-family homes, just west of 19th Avenue, near Spectrum Mall (aka Christown Mall) and all of its shopping and entertainment centers. 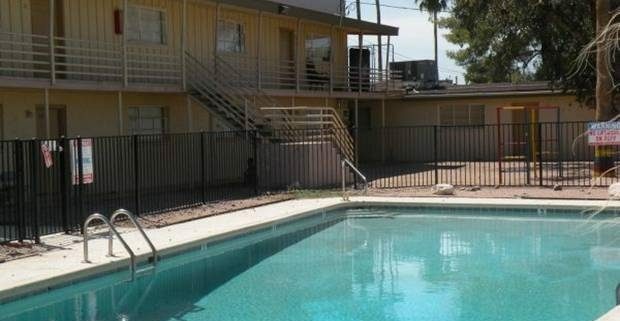 This property is just minutes from downtown, and close to employment centers. In addition, there are many schools and colleges within five miles from the complex, including Phoenix College and the Burton Barr Central Library. Christown Villas is in close proximity to a variety of fine restaurants, supermarkets, and retail stores.